For a beginner, it's important to learn basics of Java before diving into lambda expression and other stuff. Head first Java will give you a head start in Java programming by first explaining What is Java, What is Java's competitive advantage over another popular programming language e.g. C, C++ or Python and What is the best way to learn Java. Once you start reading this book, you will learn very quickly. 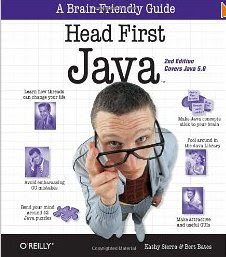 Why is Head First Java the best book to learn Java Programming? The Head First style of teaching which is full of diagrams, images, and characters. The content of the book is really great and easy to digest. As a beginner, you would hate reading boring subjective content which is bookish and not in conversational style. Head First Java is not a book, its a teacher with full of conversation. Head First Java is best because it contains lots of quizzes, fill in the blanks, matching exercise, which forces your mind to work. This helps to retain the knowledge you have acquired by reading book. Head First Java is full of good examples, which is very important from a beginners point of view. Remember you will not learn by just reading the book, you will learn only if you do examples and exercises given in the book. Authors, Bert Bates, and Kathy Sierra are respectable and are an authority in the field of Java programming language. They have also authored several other books including SCJP guides which are some of the most recommended books for Java developer looking to get certified. Any other Good Book to Learn Java? I am sure these reasons are enough to explain why I think Head First Java is the best book for beginners or anyone who wants to learn Java. 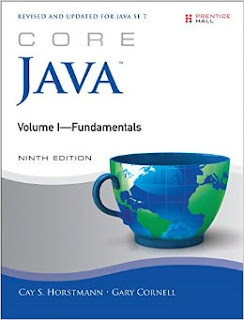 On a similar note, since everyone has different taste and some may not like comic book style of Head First Java and look for a traditional style of Java programming book to learn, they can try Core Java, Volume 1 and 2 by Cay S. Horstmann. That book is also a gem and gives comprehensive knowledge of Java programming in an easy way. An author is very renowned and I love his writing style, you won't feel bored while reading his book. No matter which book you choose to learn Java programming, you should write Java programs, use an IDE like Eclipse or Netbeans because busy developers learn faster than those who just read books. Cay S. Horstmann, the author of popular Java 8 book, Java SE 8 for Really Impatient and the classic two-volume introduction of Java programming language has come up with another masterpiece to teach core Java, including Java SE 8. 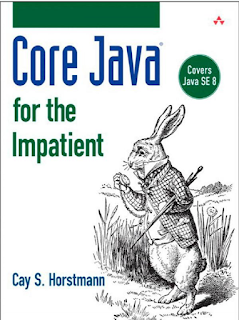 The Core Java for the Impatient 1st Edition by Cay S. Horstmann is a complete but concise guide to Java SE 8. It covers all important material of Java programming language, but it's presented in small chunks organized for quick access and easy understanding. I am not sure if it can replace Head First Java but at the moment, it certainly look the best and most updated book to learn Java for beginners. P.S. If you are someone who wants to learn from more than one author and looking for a comprehensive guide on the particular topic, then check my post about 9 books Every Java Developer Should Read. You will find books about multi-threading, Java Generics and Collections, Design Pattern and several other important topics important for Java developers. Why not Thinking in Java? I have learned from this book and its much better than Head First, its like a proper book. Because it's written by a bibliophile and not a proper writer. I think the I/O chapter of thinking in java is terrible. Java Network Programming is far better to understand. Thinking in java is good as a handbook, not a tutorial. My company recently did a bunch of research about this very question in preparation for our summer intern program. We settled on "Java: A Beginner's Guide, 6th Edition." It is straightforward and - importantly - has been kept up-to-date (at least thru Java 8). Kindle version is also available. Java: A Beginner's Guide is certainly better than Head First Java due to two reasons, first its most upto and covers Java 8 and second its good list of examples. I have bought one today. @Dilshan, indeed a very good book for beginner, and its FREE too. thanks for sharing with us. Java : How to Program by Deitel and Deitel is another great book for beginners. It effectively combined what Cay has done in two volumens of Core Java. I love this book for its exaples, programming error warning messages and easy to understand lanugages. I have recommend this book to all of my students. No, not necessary, you should only read and learn the latest version of Java. If you are starting, start with Java 8 now.